The flood of TVs with 4K resolution is inevitable, but 4K content still remains on the scarce side. But there are still a handle of ways to watch 4K video at home. Netflix is currently testing a 4K clip titled “El Fuente.” The short video is available through their instant streaming library at several different frame-per-second (fps) rates. 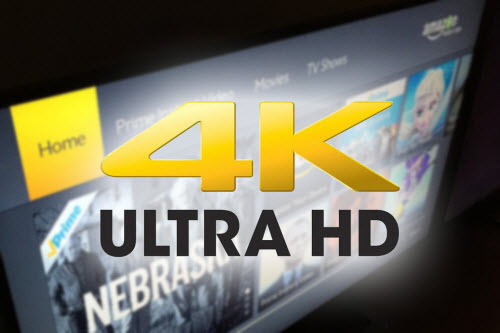 The company has said they hope to roll out a lot more 4K content for streaming within the next year. You can check out the free 4K demo videos at Sony Video Unlimited, as well as more than 50 indie films, sports clips, and live music programs. However, this also requires a Sony 4K UHD TV and the Ultra HD Media Player. One way to go 4K is to watch footage shot with a Blackmagic Production Camera 4K or a GoPro HERO3+ Black Edition. You can use a REDRay media player to send a native 4K or up-converted HDTV signal to a UHD TV. The player is also compatible with 3D media, and RED offers online content distribution through their Odemax.com network. You can watch footage shot with an Acer Liquid S2 or Samsung Galaxy Note 3 smartphone. The Note features a 13-megapixel rear-facing camera capable of filming video in 4K at 30 fps. This requires a Sony 4K UHD TV and a Sony 4K Ultra HD Media Player. The player comes with 10 feature films in 4K, and Sony’s Video Unlimited 4K service offers more than 70 full-length 4K films and TV shows, with selections like Breaking Bad, Taxi Driver, and others. More than 100 titles are expected to be available by the end of this year.